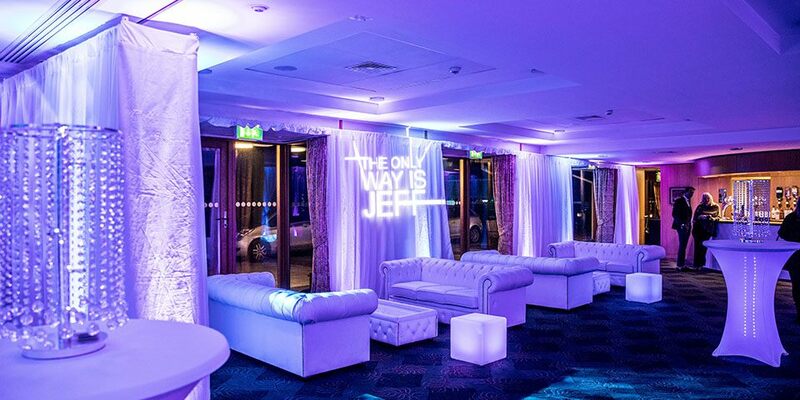 Our client wanted to hold his birthday party at his local golf club in Fleet and we were asked to put the event together, working to the theme of The Only Way is Essex. The clubhouse at North Hants Golf Club is a great space to work in. We transformed the lounge and bar areas with white vertically pleated drapery and created stylish seating areas with white Chesterfield sofas and glass-topped white Chesterfield tables. 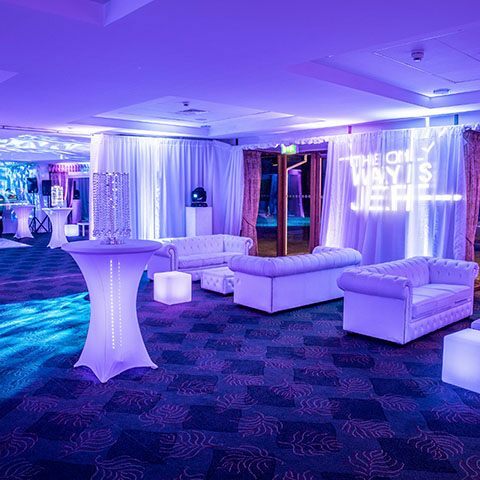 Our nightclub package with moving intelligent lights, white starlit dance floor, LED cube seats and poseur tables, and wireless uplighters around the room created a funky club atmosphere. 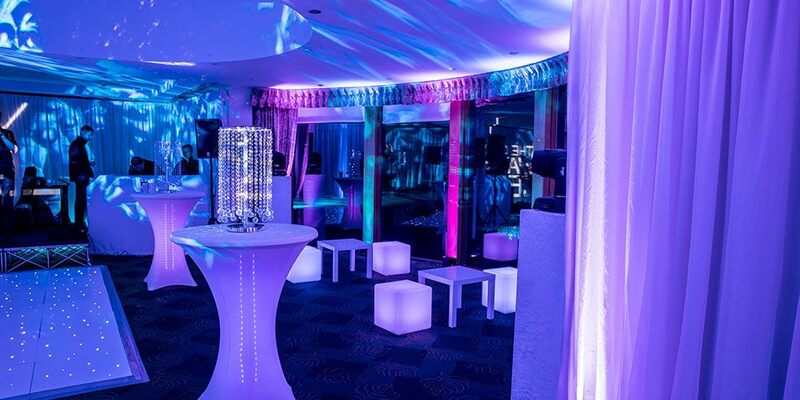 The existing bar was cleverly transformed – the wooden fascia was covered with foamboard that had been printed to look like plush leather – and we also installed a LED curve cocktail bar where mixologists served an endless supply of cocktails. 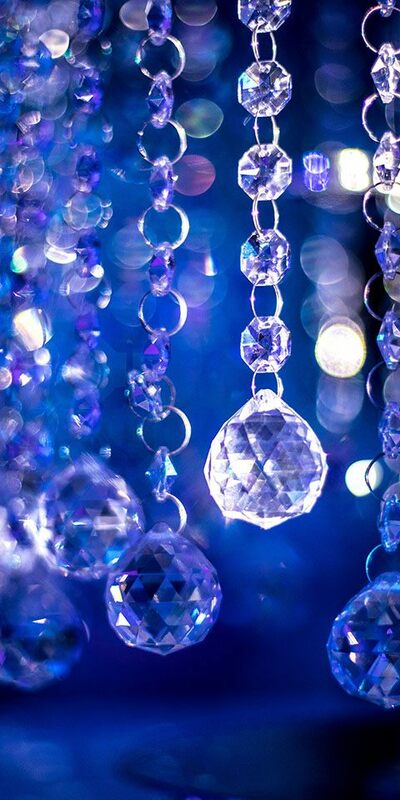 To top off the TOWIE look, we used table-top chandeliers to add a generous splash of bling! And to complete the experience, we used outdoor wash lighting to provide guests with a stunning night-time view of the golf course.